The Clarion Hotel Stockholm is located on Södermalm – a district famous for its great selection of restaurants, bars, shops and galleries. Enjoy the spa, the Eatery Social restaurant with two bars and the Living Room space. This is a cash-free hotel. 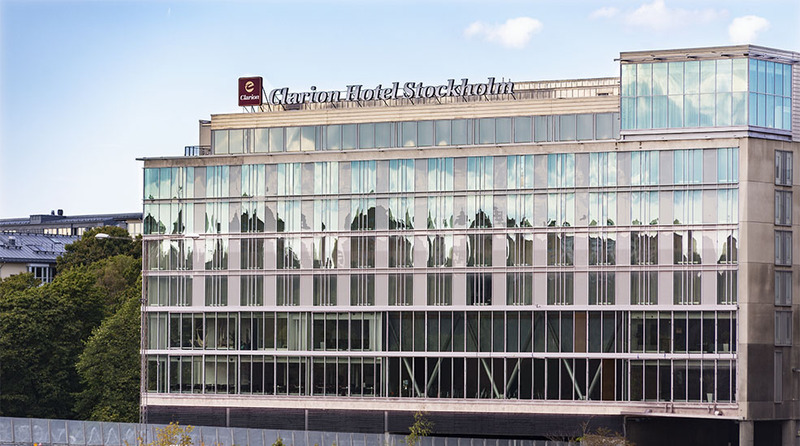 Clarion Hotel Stockholm is offering an exclusive offer during Queertune Stockholm 2019 between 27th and 29th September 2019. Clarion Hotel® Stockholm is located at Södermalm – a district famous for its large selection of restaurants, bars, shopping and art galleries. The hotel's restaurant, Eatery Social is a resataurant where North-, South and Latin American culinary influences meet. Stay for a drink, a quick bite or a satisfying three courses dinner. The Hotel also has a relaxing Spa at Elements Spa. Staying more than more night? Choose a Sweet Dreams Stay simply by say “No Thanks” to cleaning of your room when you are staying more than one night. By taking this choice, you are giving children victimized by human trafficking a safe night ́s sleep since we will donate money to the Sweet Dreams-project that we run together with UNICEF. Offer is subject to availability. Can be cancelled free of charge until 14 days upon day. Can not be combined with other offers and discounts.